It happens like clockwork each January in Metro Detroit: automotive journalists from all over grumble at settling into the Motor City’s cold climate for a few days for the North American International Auto Show (NAIAS). The show in Detroit marks the beginning of “auto show season,” when the calendar is filled with auto shows across the U.S. – from sunny Los Angeles to Chicago or New York City. At least one media trip in January has been guaranteed for journalists, but now there are two on the docket. The Consumer Electronics Show in Las Vegas has typically fallen a week before NAIAS and has become a must-attend convention for tech and automotive journalists alike. More and more automakers are presenting the latest in innovation at CES – including applications that lend themselves to rapidly developing autonomous-driving technology. All that said, one might think that the focus in automotive ingenuity would be moving away from its native Detroit. For instance, Ford did open a new laboratory in Palo Alto to recruit Silicon Valley talent to develop forward-thinking tech, and Tesla, eschewing Metro Detroit completely, set up shop in San Francisco. 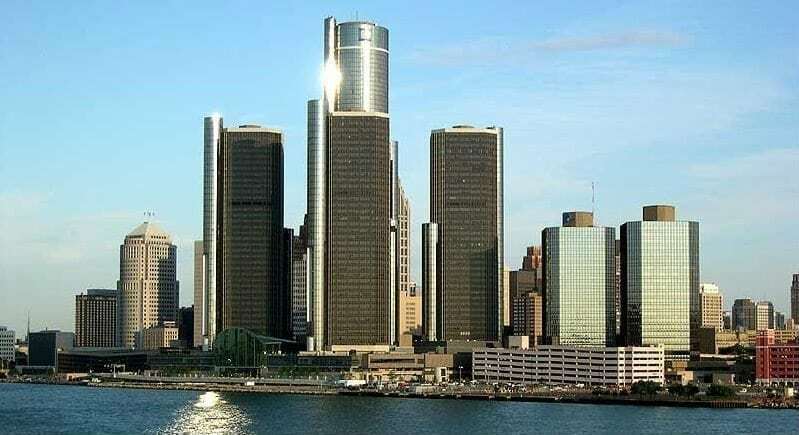 However, as automotive technology continues to develop outside of Detroit, manufacturers and suppliers in Metro Detroit and Michigan have started doubling down on innovation within the state. Detroit Mayor Mike Duggan, for example, recently took the first step in allowing autonomous vehicles to be tested on public roads in the city. Miles outside Detroit, the University of Michigan built “Mcity,” a 32 acre faux cityscape with roads, storefronts, street signs, and traffic signals where autonomous vehicles have been tested since 2015. Allowing autonomous vehicles practice in real situations – among real people – is a major initiative for the city, Duggan told a crowd at NAIAS this year. However, given its recent economic troubles, one can’t help but wonder why Metro Detroit is suddenly becoming a hotbed of new automotive tech. Well, the city and its home state offer several advantages to autonomous technological development. For example, aside from its dense concentration of American automotive industry leaders, Michigan is an all-weather state, so some technologies – braking, for instance – can be tested in snowy, icy, or wet conditions. “One of the issues of autonomous technology is overcoming challenges in winter climates, so we’ve centered [on] Metro Detroit for winter climate development technology,” says Kevin Kelly, senior manager of global advanced technology communications for GM. Another exciting sign for Detroit is the NAIAS announcement made by Continental, a major automotive supplier based in Germany but with several American operations in Michigan. Continental’s focus has been on brake sensors, dynamic motion control, and steering. Continental has just indicated a joint venture with Nexteer Automotive to advance motion control systems for autonomous driving. Such partnerships are becoming the norm, especially among suppliers operating in close proximity to one another. There are small advantages to having multiple bases of operation in Michigan for Continental, with the Muharemovic citing the obvious: “Rather than having a phone conference or a video meeting, we can just drive,” Muharemovic says. A further source of aid for the motor city’s auto tech sector, and possibly the biggest one, has come from Michigan legislation in favor of manufacturers and suppliers. Last year, Michigan Gov. Rick Snyder passed what is colloquially known as the “SAVE laws,” a collection of laws that will not only let the public purchase self-driving vehicles in the state when they inevitably hit the market, but will also loosen restrictions on the public road testing of autonomous vehicles. All this future-friendly positioning in the automotive world, along with renewed tech interest in general, may give Metro Detroit the push it needs to beat back the doubters and resume its spot on the industry leaderboard.